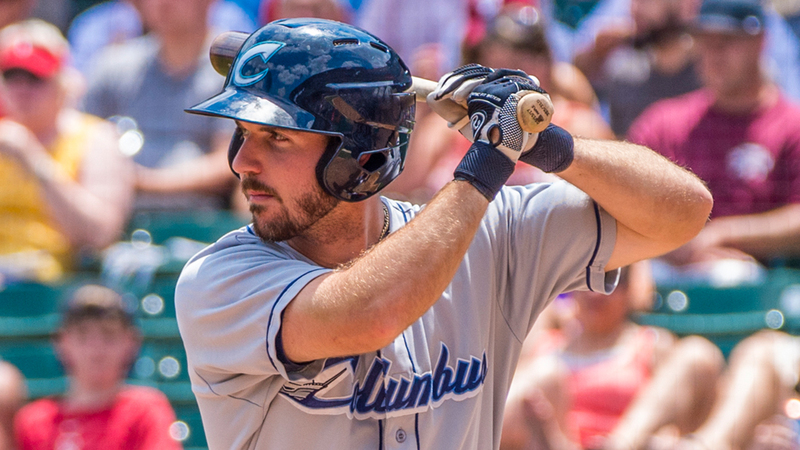 The Columbus Clippers dropped their series finale with the Indianapolis Indians, 8-6, tonight at Victory Field. Despite the loss, the Clippers still won the series, two games to one. Columbus starter Stephen Fife was roughed up early as the Indians knocked two home runs off him in the first and the offense followed through the remainder of play. Jose Osuna kicked off the scoring with a two-run shot and Kevin Kramer followed with a solo homer to take an early 3-0 lead. The Clippers responded in the second with a Mike Papi two-run single to pull within 3-2 against Indianapolis starter J.T. Brubaker. The Indians broke things open in the fourth, though, as Ryan Lavarnway singled in one, which Eric Wood followed with an RBI double. Ahead 5-2, Jason Martin stroked another RBI single before Pablo Reyes delivered a sac-fly to make it 7-2. Lavarnway was at it again in the fifth, singling off Columbus reliever Luke Eubank to make it 8-2. The Clippers cut the Indy total in half in the seventh inning behind an RBI single from Oscar Mercado and a sac-fly from Adam Rosales. They waited until the ninth to score again when Brandon Barnes lashed a two-run single to left to bring the Clippers within two at 8-6. They'll travel to Toledo tomorrow to face off against the Mud Hens at Fifth Third Field. First pitch is scheduled for 7:05 p.m.